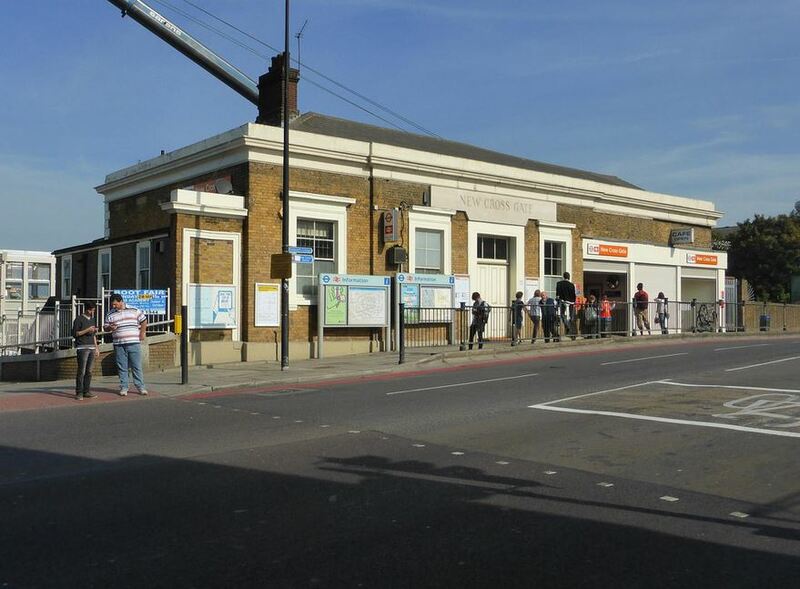 We reported recently on the consultation to extend the Bakerloo Line which, if it were to be built, would include a station at New Cross Gate. Before that we reported on what the approach lines to London Bridge on the Brighton Main Line will look like once the Thameslink Programme is complete. 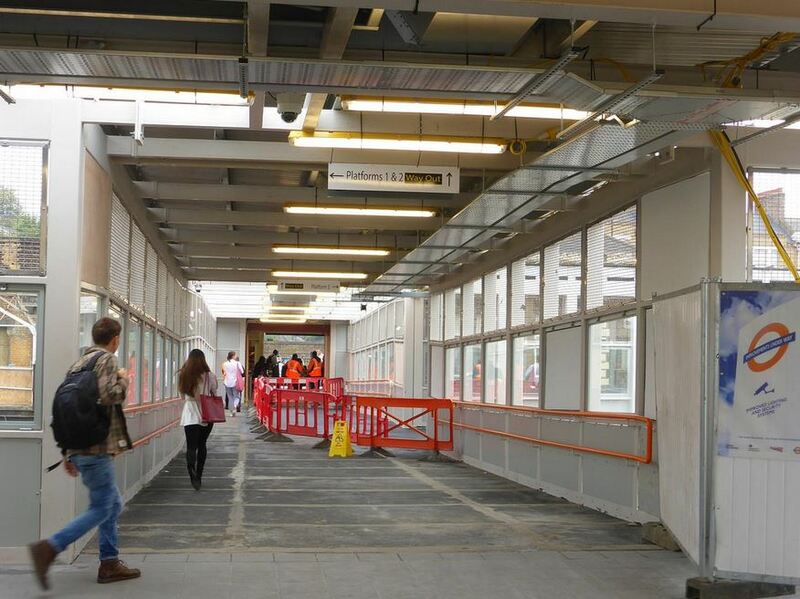 We are also now towards the end of Network Rail’s major reconstruction of New Cross Gate station and they recently brought into use the extensive new pedestrian overbridge there as part of the Access for All programme. It therefore seems a particularly opportune moment to take a brief look at New Cross Gate station and the possibilities there for the future. New Cross Gate station and the surrounding railway land has a particularly interesting history, with the station and surroundings having been re-invented many times over the years – from being a major motive power depot in steam days, to having extensive carriage sidings and then to be reduced to little more than a minimal station to serve the inner rail London traffic. For many years it had a single platform devoted to use as a terminus for the infrequent trains of the lightly used East London Line of the London Underground. Since those BR dark days the station has seen a new vitality with the East London Line becoming part of London Overground and station use positively booming. The physical connection between the national rail network and the Underground network at New Cross Gate was lost forever in 1966. This connection has now been reinstated to connect the down line from the East London Line (no longer part of London Underground) to the down slow line south of the station but meanwhile the connection near Whitechapel between the East London Line and the current Underground network had been severed and bricked off. On the up side a new overbridge takes trains from the south over the main tracks and continues northward onto the East London Line. As well as all that, New Cross Gate’s status as a depot has been well and truly restored thanks to the London Overground Depot to be found to the north of the station, which stores and maintains the East London Line fleet. Some stations seem to be almost unchanging and others never seem to stay the same for long. New Cross Gate has been in the latter category throughout its history and the signs are there that it will continue to be so for many years to come. The Wikipedia entry for the station gives a surprisingly good brief history of the station and the much referenced accompanying 1908 Railway Clearing House map show the vast array of railway lines that used to be present in the area. A website about the former New Cross Gate Signal box not only has the inevitable track diagrams but also a photo showing the extensive site in 1958. We reported on the New Cross Gate Depot back in 2010. As always, Carto Metro is your friend if you are unfamiliar with the track layout in relation to the surrounding area. Be aware that the railway between New Cross Gate and London Bridge is changing on a regular basis during the Thameslink Programme so won’t be 100% accurate. Note that Silwood depot is already marked up on the Carto Metro map. Ever present in any 21st century railway discussion is the need to upgrade existing stations to handle 21st century passenger traffic. In recent years this was perhaps more of a concern for London Underground than Network Rail, but various recent documents make it clear that nowadays Network Rail too is concerned about this. On this website, comments have previously been made on the subject and New Cross Gate was cited as an example of a station that was simply failing to cope with the increased number of people using it. Since the arrival of the East London Line in 2010, now providing 8tph throughout most of the day, entry and exit numbers at the station have more than doubled to over 4million per annum. The formerly-used staircase was narrow and obviously not wheelchair accessible. 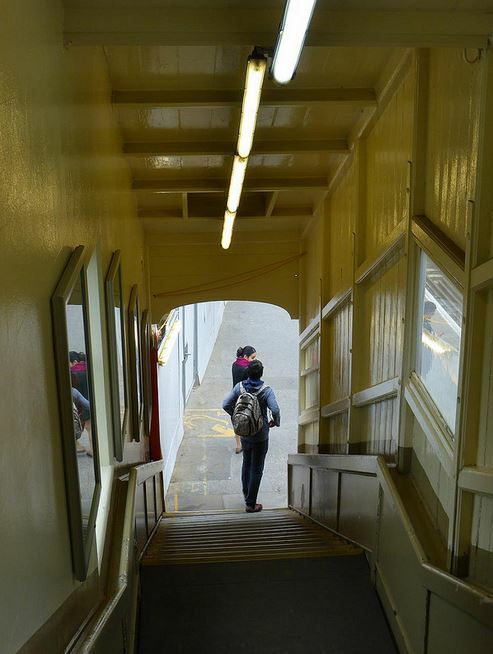 The inability of the station to cope with the passenger numbers was not helped by the narrow staircases down to the platforms. It was not surprising therefore that the station was included in the Access for All scheme to make stations accessible to the disabled. 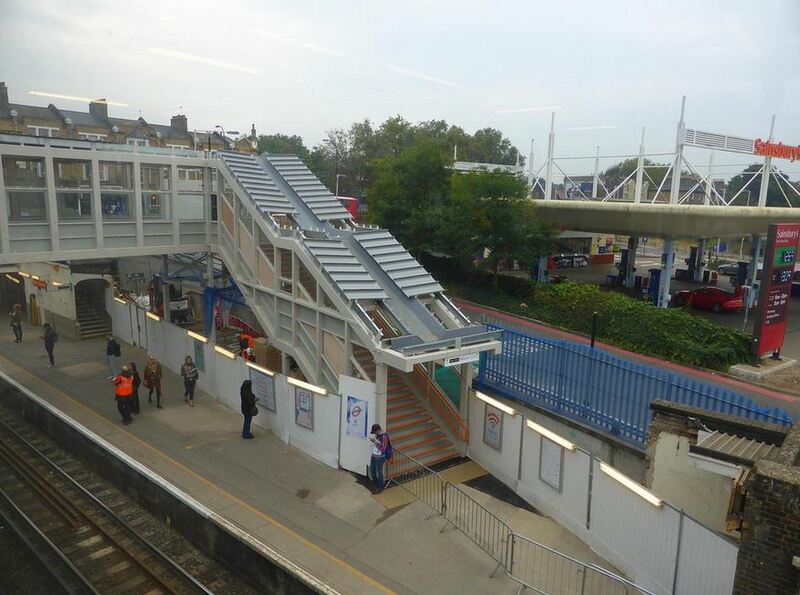 The need for enhanced access to the platforms could be combined with a scheme to provide lifts to all platforms. New Cross Gate is mainly served by all-stations trains. Though unlike most other stations north of Norwood Junction on the Brighton Main Line to London Bridge, it also has platforms serving the fast lines. These fast line platforms are number 3 and 4 because, for some reason, platform 1 is the easternmost platform on the down side. Platforms 3 and 4 make up an island platform, served by the fast Horsham trains every half hour and generally the only trains to use these platforms. Nevertheless the arrival of lifts has led to speculation by some that the fast service will get better sometime in the future. One of the more useful factual things to come out of the Bakerloo Line Extension consultation is a Background to Consultation document which has a table of anticipated future rail services at various stations – including New Cross Gate. From that table we can see that it is expected that the number of peak hour National Rail services (excluding London Overground) expected to call at New Cross will be just six. We can fairly safely assume that the all stations service will not be reduced to just 4tph to London Bridge so it is highly likely that these recently introduced stops on the fast platforms will disappear. … established that the recent 10-car train lengthening on the Sydenham Route, combined with baseline extension to 5-car of East London Line services on this route, means that no further interventions are likely to be required in the study timescale on radial capacity Sydenham corridor to London Bridge. As mentioned in The Approaches to London Bridge one can see a desirability to make that 8tph on the slow lines to London Bridge to match the 8tph on the slow lines to Canada Water via the East London Line but clearly there are currently no plans for that to happen. The logic in making the slow services on the Sydenham Line more evenly spaced by alternating between London Bridge and Canada Water will, of course, go out the window if the rumoured 2tph East London Line “pixie busters” to and from Crystal Palace (also mentioned in that article) ever materialise. These too get a mention in the Sussex Area Route Study and are clearly a Network Rail objective, but appear to be problematic. The biggest problem seems not to be finding the paths in the peak direction, but finding the paths in the reverse direction for the empty stock to return. This particular market to London Bridge is closely linked to changes in service provision on the East London Line route, with many passengers taking the first train and changing at Canada Water, if an East London Line service arrives first. This statement could be re-interpreted as saying that the direct service to London Bridge is so lousy that, rather than wait for their 10-car direct train in the cold, passengers often take the longer and more illogical route through via Canada Water and the Jubilee Line. In other words, because there isn’t a decent direct service to London Bridge, or possibly the necessary onward connections are overcrowded, passengers create an artificially high demand on the limited capacity 4-car East London Line services and then quite needlessly fill up the Jubilee Line. The least used lifts at a London station? What the above goes to show it that it is highly likely that in a few years time the lifts down to platforms 2 and 3 will be little used. Furthermore the draft Sussex Area Route Study would appear to confirm this. Once the Thameslink Programme is fully complete there are expected to be at least 20tph on the fast lines and future opportunities for a fast train calling at New Cross Gate without delaying the following train are going to be extremely limited. This will get even harder if Network Rail manage to raise the speed limit on the fast lines, as they hope to do one day, because each stopping train would delay the following fast train even more. Despite the fact that there are good railway operational reasons for not allowing fast trains to call at New Cross Gate it must seem to some members of the general public that this is an obvious thing to do – especially now that the fast platforms have lifts and the station is fully accessible. The time spent on an all stations train to Norwood Junction from New Cross Gate is significant and a fast train from New Cross Gate to Norwood Junction is 9 or 10 minutes faster. So the time saving for anyone from south of Norwood Junction wanting to use the East London Line would be significant if some fast trains stopped at New Cross Gate. In fact there is a rather clever way of enabling fast trains to call at New Cross Gate providing they terminate at London Bridge. The trick is to call at the slow line platforms and switch to or from the fast lines just south of the station. This would work very well in the down direction as the whole move could be done without conflicting with a down East London Line train (of which there are 8tph). It would not be so good in the up direction as the East London Line and London Bridge trains share a platform. As is more clearly seen from a bird’s eye view, one could not easily build an extra platform as the land needed has been sold to Sainsbury’s and part of the vital strip is an access road to get to the back of their supermarket. One possible way of giving the station more operational flexibility – but it requires land take and some bridge reconstruction. Red lines show new track required. It is well known that land take is undesirable and something Network Rail tries to avoid if at all possible. In the case of an additional platform on the west side of the station there would also have to be some bridge reconstruction and this would be best done in conjunction with any redevelopment of the Sainsbury’s site. Alternatively a platform could be added to the east side of the station. One is then doing something a little like the Clapham Junction proposals, shifting paths through the station to serve the next platform along. This layout has the big advantage of only involving railway land and could potentially avoid road bridge reconstruction. There is also a little bit of limited evidence to suggest that Network Rail have already allowed passive provision for something like this in their current setup. The main disadvantage of such a scheme would be it would be less convenient for many down passengers as their next train could be from platform 0 or 1 and changing platforms would involve use of the footbridge. Alternative possible arrangement where a plaform is added on the east side of the station. There is of course a minor Baldrick-like flaw in these cunning plans to allow fast trains terminating at or starting from London Bridge to call at New Cross Gate. This is that from the end of 2018 it is anticipated that it will be only possible for 4tph to terminate at London Bridge using the fast lines in the peak hours. Of these, two will be diesel operated Uckfield trains, possibly loco hauled/propelled even, and, due to their lesser acceleration capabilities, one could understand it if the timetable planners were reluctant to have them stop at New Cross Gate. 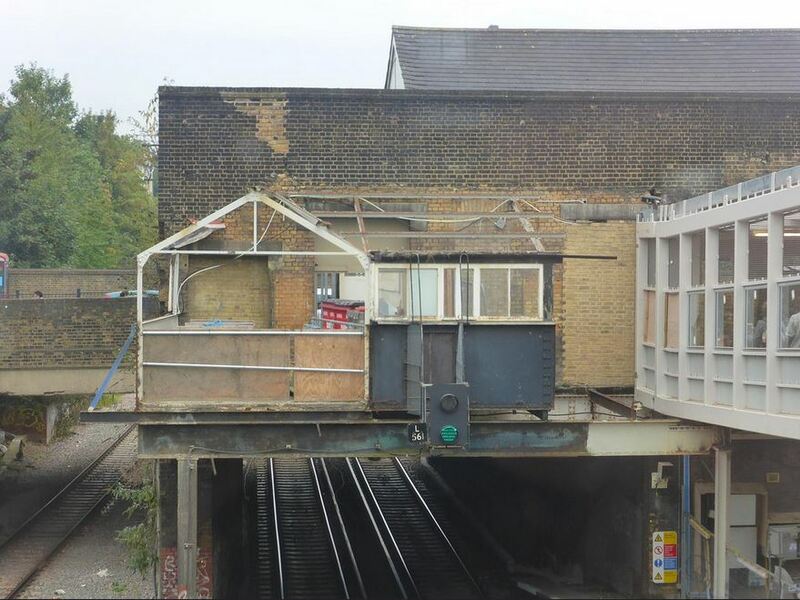 Whether or not the current layout will suffice for years to come is something we here are not competent to judge but it does seem that, if stopping some fast trains at New Cross Gate was considered desirable in future, the current station layout should not be seen as critical factor in preventing it. We should also emphasise these plans suggested are not official plans but are merely shown to indicate that there are possible solutions to stopping fast trains at New Cross Gate. Needless to say there are all sorts of possible variations that could also be considered. All these proposals are trying to show is that, even if not practical with the current layout post 2018, it is possible with money and determination to make workable arrangement for some fast trains to stop at New Cross Gate. There many be good reasons for not doing so but the matter should not be dismissed out of hand on the basis that it will not be operationally practical in future. It is only fair to point out that Network Rail does not mention stopping fast trains at New Cross Gate in its draft Sussex Area Route Study, but then it also totally fails to mention at all the fact that there is a proposed Bakerloo Line station planned for New Cross Gate. In fact it does not mention the Bakerloo Line at all. Back to the present and it is clear that a lot of effort is going into making New Cross Gate station accessible for all. What is not so obvious is that this branch of London Overground all the way to Crystal Palace will soon have every station fully accessible. It is a pity that Penge West and Norwood Junction will stand out as being the exception on the West Croydon Branch but in the latter case it would not only be challenging, but may have to wait until final plans are prepared to see what changes, if any, will be made to the station layout in future. It can be clearly seen from the photos that the passageways are much more spacious. As well as improving capacity the new foot overbridge brings along another couple of potential advantages. The first is that if it was ever considered desirable to rebuild the station entrance including, possibly, setting it further back from the road then this would now be simpler to do. As can been seen from the very first picture, the space in front the station is fairly limited. Furthermore the road could do with widening so that a central pedestrian refuge could be incorporated into the pedestrian crossing. 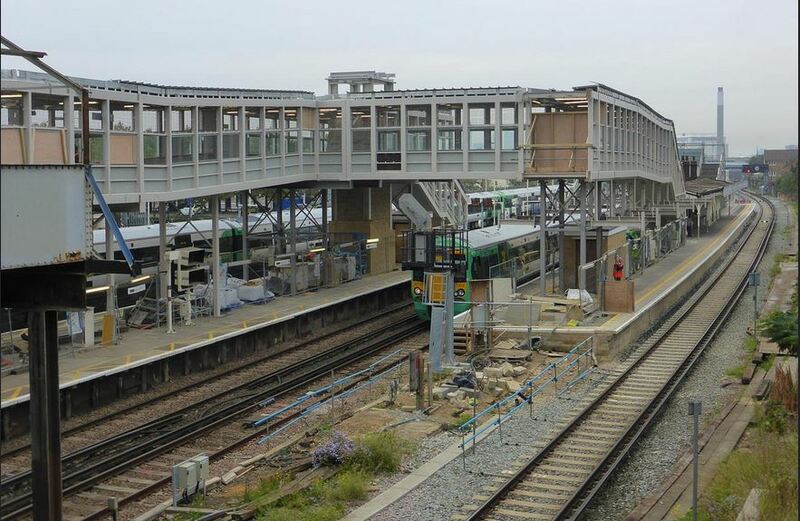 The second is that it is now easy to extend the platforms southwards so that they reach as far as the road overbridge. It will be interesting to see how many carriages long the platforms will eventually be. 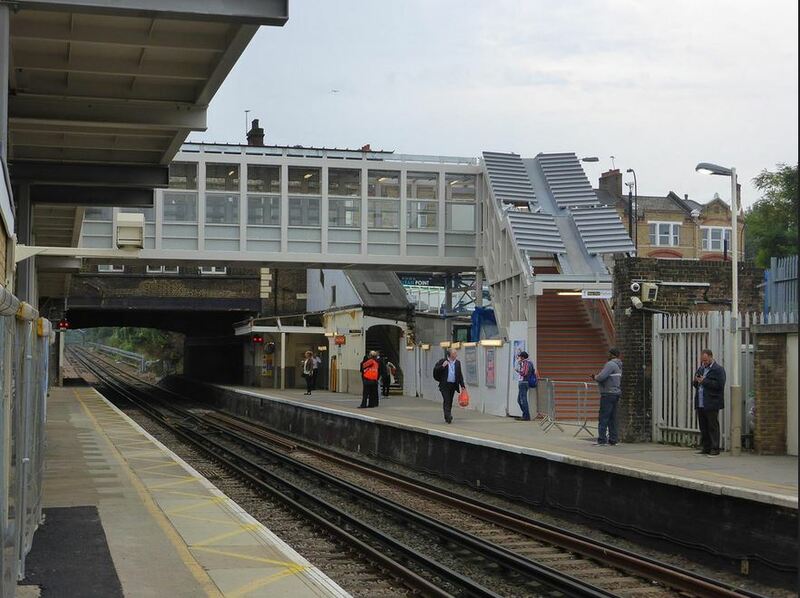 If there is a weakness in the new overbridge and platform access arrangements of the station it is one that once again goes back to selling off too much of the ancillary land to Sainsbury’s. On platform 5 (the up slow) it is necessary to place the footbridge down the platform at an awkward angle which means that there is a turn of greater than 90°. Turns of greater than 90° are generally avoided if at all possible in foot passageways as people don’t like them and they tend to reduce capacity. Apart from Thameslink which (if anything) impacts the station in a negative way, there are various things that may happen in future that could affect the station. The London 2050 Transport Supporting Paper talks of “ATO on ELL core section: increase frequencies”. This may mean that more London Overground trains would call at New Cross Gate which in turn may mean there would be some benefit in having a separate London Overground Up platform. It is also known that Sainsbury’s are keen to redevelop their New Cross Gate site which clearly has a lot of potential for oversite development. This would be an obvious time to try and get some of the land back which, in retrospect, should never have been sold in the first place. There may be limited potential for land swap using land at the back of the supermarket or even on the east side of the station. The other interesting possibility for the future is of course a possible Bakerloo Line station. And if Sainsbury’s want to redevelop the site then this would be the obvious time to provide a “Woolwich Crossrail” type solution. The main problem is that the Bakerloo Line extension appears to be many years into the future whereas Sainsbury’s is probably looking at a much shorter timeframe. In the event of a Bakerloo Line station being built one can then see the attraction of making New Cross Gate a major interchange, not only with other rail lines but also with buses. If the station track layout remains the same as today then if the Bakerloo Line does come to New Cross Gate a difficult decision would have to be made concerning the fast trains. Basically the only realistic options would probably be to stop none of them or to stop all of them. A mixture of stopping and non-stopping would not work too well if the stopping ones have to stop at the fast platforms and block the fast lines. But if you want to stop all of them and there are 20tph or more that might be problematic in itself. If necessary, part of the station building could be demolished to extend the down slow platform all the way to the roadbridge. Note the new walkway goes upward on a slope here – presumably to give sufficient clearance for any future overhead electrification scheme. Continuing with a theme developed in London 2050 part 2 there does seem to be a trend in inner London of many stations experiencing rocketing demand and consequently major development whereas in the outer suburbs change is only happening slowly, if at all. Even amongst the inner London stations New Cross Gate appears to have encountered phenomenal growth and all the signs are that it will continue to do so. Like Clapham Junction it would appear that in the case of New Cross Gate it is not enough to relax because of what has been done up to the present day to make the station fit for purpose. Demand will probably continue to rise and there will probably need to be further enhancements to take this into account. Thanks to Unravelled for his photos. 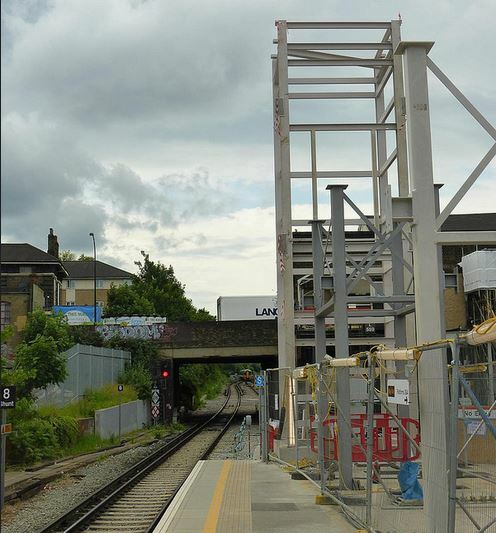 You can see many more of his pictures showing the work at New Cross Gate starting from here. Thanks also to ngh for providing the diagrams. I regularly use New Cross Gate in this way in the evening peak and you have completely misunderstood the choice passengers face. If you’re taking the Jubilee Line west of London Bridge (in my case Green Park), then Canada Water is a very sensible choice. The change is very quick (down an escalator), you save £1.30 on PAYG and the extra time on the trains can be spent reading, eating your sarnies, etc. If you change at London Bridge you go through the gate line, across a busy concourse, down an escalator, past the shops, another gate line, then down two escalators (assuming you’re not redirected through the Northern Line escalator as is sometimes the case). Your comment about “lousy service” suggests that this is something within Southern’s control, but it’s more to do with the complexity of London Bridge. The lousy part of the journey is the fact that the Jubilee is packed from Canary Wharf to Waterloo. Very few banker/lawyer types get off at London Bridge and my friends in that demographic all want to live in the Earlsfield/Wimbledon area. A long-term solution to the this problem would be to improve schools and property values in SE London so that the bankers are leaving the Jubilee at Canada Water and LB, but that would be rather putting the cart before the horse…. We have discussed WLL capacity on this thread. I was on it in the evening peak the other night. My train was 2 minutes behind the one in front but 7 minutes ahead of the one behind. That suggests trains can run with a 2 (to 3) minute headway and that there are some gaps. It suggests frequency could be increased. Sounds like there was a freight path (whether used or not) behind you. The biggest barrier to LO operating more services is that most of the lines are shared with freight. The nature of the peak services is that they will never run with a standard gap between trains, because the extras are more constrained that the basic 4 tph LO service, that does run about every 15 mins. As well as freight paths as mentioned, the northbound SN service to Milton Keynes will have to run to fit in with timings elsewhere on its route such as at East Croydon, or on joining the WCML at Wembley, and the peak extra SN services that run a shuttle as far as Shepherds Bush have to be timed to allow them to reverse and head back in the opposite direction, at a suitable time to fit in between southbound trains. Walthamstow Writer has posted some links to a couple of the recently uploaded Thames TV news clips. There is also one from 1987 where New Cross Gate features heavily, it’s very much a period piece, and gives a good sense of what the station was like at that time. One thing to note is the shots of the exterior of the station entrance, clearly a lot of the ‘historic’ elements’ of the building are actually the result of relatively recent restoration work. The clip also contains a mention of extending the Bakerloo line to Bricklayers Arms. Does anyone know which campaign groups report is being discussed? @ JA – Thanks for that NXG telly clip. It is quite fascinating to see that Mr Smith’s remarks in that clip were largely right – roads money wasn’t spent and some probably was shoved towards public transport improvements. I wonder if Mr Smith is still about and whether he’s pleased with how things have turned out even if he’s had to wait 30 years or so for it? – for example modernisation of NXG station. The LRT planner has seen some of his plans come to fruition albeit the Bakerloo Line is still struggling to get its extension! I do like these old Thames News clips but the titles / descriptions on You Tube really need some work to make them more accessible. My gravatar probably gives away an interest in this kind of archive material…. If these You Tube clips are official uploads (as they appear to be) then whoever has been tasked with it has totally failed to name the clips in any meaningful way to allow potential viewers to search for them. In the “modern” parlance there is no sensible metadata to point anyone towards the clips. How were the ones that have been linked to here on LR found by the interested in the first place? …even the countdown clocks contain no meaningful information, such as the original edit / TX date. @Kit Green – I’ve found a few simply via Twitter and other people finding them. Then in You Tube you can see other clips and those with transport related pictures showing are those I’ve looked at. All very random and unscientific even though the content is interesting just on the basis of looking back 20-30 years. I agree some sensible metadata would help enormously in generating views. 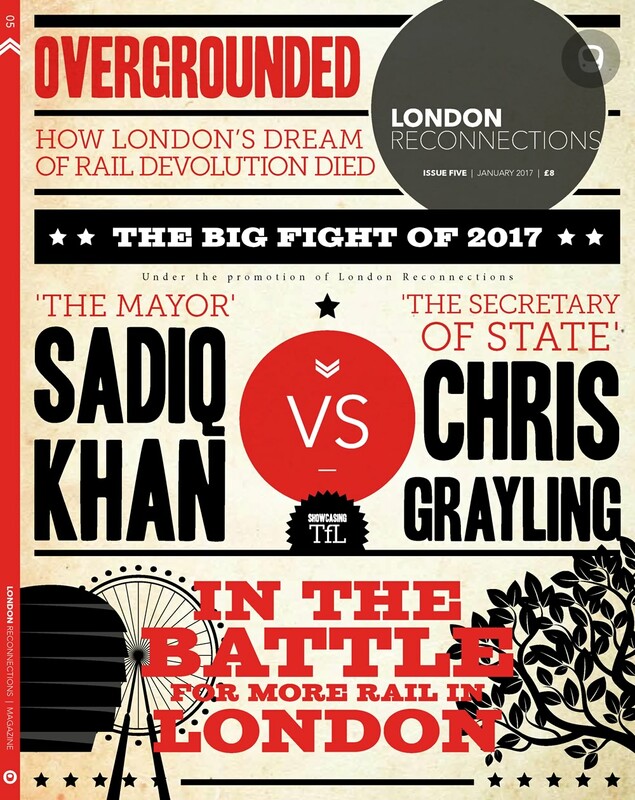 I’d also like someone in telly land to exhume some old editions of the LWT London Programme – that would provide a fascinating contract between 80s London and now on a wide range of issues including transport. What about 1955-65 (say) – plenty of film archive material from then. Also, particularly the earlier ones will show just how dirty (reall grubby & soot-stained) London was at that period. I’m not sure we should take the deliberately dark comedy, and suitably dark settings, of the Ladykillers as definitive of the 1950s. And it is fictional, rather than documentary of course. The colour footage of Genevieve, (1953) largely filmed in the public streets, might be a better guide. Whilst the clearly identifiable London scenes might be relevant, Genevieve is highly misleading as only the opening scenes, those in Madeira Drive (Brighton), possibly some late scenes in the London suburbs and the final shot of Westminster Bridge were actually where they purported to be. Most of it was filmed in rural Buckinghamshire near the studios. I wasn’t even born then so cannot know for sure but I suspect the street scene it was not really representative of a journey from London to Brighton and back again even then. I know because I spent hours trying to identify places that were supposedly on route only to subsequently read the history of making it and realise I was totally wasting my time. Try “Reel Screens” for details ( of a very large number of films) for actual locations…. I presume you mean “Reel Streets”. Actually for a lot of the scenes they are pretty clueless themselves. Although it’s getting off-topic, a film shot in 1962 that uses authentic London locations (the Albert Bridge, the Pheasantry in Kings Road, the Lennox Garden Mews area) is The Party’s Over. Directed by Guy Hamilton and with Oliver Reed in his first starring role, it was finally issued in 1965 after extensive cuts (to preserve the morals of the nation’s youth). An uncut version was offered on DVD and Blu-ray by the BFI a couple of years ago. This is London before the ‘Swinging Sixties’, still recovering from WWII, and the low budget/lightweight camera technique means that the real London continues in the background. I mentioned three locations above, but there are plenty more and one should be of particular interest to LR readers. The last scene takes place in Waterloo Station when a coffin is to be taken to Southampton. Plenty of railway paraphenalia for the enthusiast to identify, including the special ‘coffin carrier on wheels’ which may have been retained from the days of the Necropolis Railway. Yes, many of the scenes were shot in suburban Middlesex, but I was thinking of the scenes in the Old Kent Road and around Westminster Bridge in particular. Just to bring this up to date and to clarify. The walkways were not designed with the slope away from the building for future electrification – the additional headroom is required to clear the signal sighting to the signals on Platform 1 and 2, specifically the top aspect. There were also some suggestions early on in the piece suggesting extension of the existing walkway/ building toward the new structure on Platform 1/2. It’s feasible, but definitely not planned. I’m surprised there is’nt more comment on the possibility of access being in the middle of the platforms with entrances both and west. I use both the station and Sainsbury’s and am always miffed by having to be just a couple of metres away from my Overground train. If there’s going to be a redeveloped Sainsbury’s – perhaps with a more pedestrian friendly access – a nice synergy could develop with buses, tube and shopping. Above comments seem to clear up the mystery of the (two) new bridging heights; that accessing P5 would be the normal high container + OHLE height, while that to Pls 1/2 would be the latter plus the signal sighting. In spite of this I would still like to view an authoritative statement that indeed NR does have this as a mandatory height. Further, assuming W12, I wonder whether continental gauge waggons (some years ago frequent on the NLL) could also be provided for. It seems sad that, for the moment, our first experimental conversion – Soton to Basingstoke – has been postponed. I always thought continental gauge wagons were limited to the Transfesa depot just east of Tonbridge (i.e. just east of the station on the bridge where the A26 crosses the line)? I can clearly remember “transfesa” wagons running around Stratford in the early 1960’s … they’d come across on the Harwich (freight) train ferry, of course. The Transfesa depot east of Tonbridge was in fact at Paddock Wood. Access was from the Medway Valley Line. From 1983 until it burnt down about ten years ago I do not remember seeing oversize wagons there. Since its demise there are just a few engineers sidings with no rail connection to the new buildings, that are mainly a replacement freezer facility for the complex that was once near Dunton Green station. Unfortunately I could not find a way to get this reply to previous comments back on topic. Normal ‘high-cube containers’ on standard height flat wagons only require W10 gauge clearance. This does not in itself provide any significant additional height over the traditional ‘loco gauge’ of W6 – it’s only about 4 or 5 cms. What it does is require side clearance for the rectangular shape of the containers, hence opening arched bridges into a ‘squarer’ cross section. W12 does not add any height compared to W10, but only a marginal increase in width. On its own, freight clearance to W10 or W12 doesn’t actually provide anything for electrification, that would be included in the project only if practicable at little cost. There are overlaid diagrams of the different freight gauges in most of the RUS documents. Paul says “On its own, freight clearance to W10 or W12 doesn’t actually provide anything for electrification, that would be included in the project only if practicable at little cost. If, as part of freight clearance to W10 or W12, something like platform canopies are removed or altered, nothing extra would be done towards possible future electrification (unless very cheap). But if, for the same freight clearance, an overbridge has to be rebuilt or track lowered under it, then this would always be done to a height suitable for subsequent electrification. A Network Rail chap working on the Southampton to WCML gauge clearance informed me that the deciding factor for whether a road overbridge would include electrification clearance as well as W10 clearance would usually be the effect on the road surface. If they could give electrification clearance within the road thickness available without having to raise the road surface for a distance either side of the bridge then they’d do it. The example being discussed at the time was the road over bridge on the Andover Road out of Winchester, just northeast of the station, which could be done including such clearance, but in general the route is W10 without clearance for OHLE. I seem to remember an article somewhere memtioning that the viaducts on the Kent Race Track (Redhill Ashford) had been modifed as far as a depot near TON, I was mistaken as to where. The bridges look only marginally different, but they are obviously renewed!